Missions is not about what we can achieve. It is about what God can achieve. However, He has chosen to work through His people to achieve His redemptive plans. We want to see God's supernatural power released in Senegal, but He waits for our intercession. We are convinced about this. Of course this means that you are an essential part of the team to see the Church planted in Senegal. The team needs people to pray, and people on the front line in Senegal. One without the other will achieve very little for God's Kingdom. Can we ask you to commit yourself anew to "Standing in the Gap", to intercession on behalf of us and Senegal? It is difficult to pray specifically and regularly for someone over a prolonged period of time, especially when there is not always a lot of news. All too readily our prayers degenerate into "God bless so and so in Africa, amen." So we wanted to give you a few ideas of prayer needs which will always be relevant. Of course, the Holy Spirit may give you other ideas. We would encourage you to listen to His voice when you pray for us. It is more dangerous to live in Africa. There are numerous diseases to which we have little resistance. How often missionaries find themselves out of action for 3, 6 months or more with hepatitis, and of course, then everyone prays. We feel it is better to pray preventatively, so that we do not get sick in the first place. Robberies are not uncommon in urban areas. We will do much travelling by all sorts of means. This too presents great risks at times. In marriage. Our marriages are witnesses. Pray that our marriages would continue to grow stronger, and that we would constantly serve the other. Pray that we would make time for each other and communicate. It is all to easy to become too busy with ministry and children, or for the constant stresses of cross-cultural living to affect our relationships to each other. With fellow missionaries. Getting on with missionaries can be the hardest aspect of living on the mission field. Yet our unity is an important part of our witness. Pray that we would have a servant attitude, and for unity among the missionary team. Senegal is very much enemy territory and he, Satan, will let us know it. In Christ we have the victory but this does not mean we don't have to fight. Pray that we will constantly know the victory of Christ. 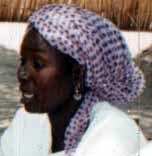 Pray that the Wolof who are captives of the evil one will be released from their darkness to be able to understand the gospel (2 Cor 4:4; Matt 12:29; 16:19). There are many stresses which we as missionaries face. Some are common to everyone, others are unique to the missionary lifestyle. We will be working in a difficult climate, and in a work which could easily lead to discouragement and depression. Living in a culture and language which we do not understand well has its own problems. And there is little hope of release and few recreational resources available to us. Everyone faces financial pressures, but at times when money is very tight there is little we can do about it except pray. Pray that we would know how to rest in Christ, and that God would prompt His people to supply all our needs. A common reason for missionaries leaving the field is some kind of family concern, either with children, or family at home. Do remember to pray for our children: for their health and safety; for their education; and most important of all, that in time they will also follow Christ as their Lord. Also remember to pray for our family at home who share some of the cost we have chosen to make. Senegal is a country of great spiritual and physical needs. Pray that God would open the way to the hearts of the Senegalese. This may include granting the missionaries insight as to the best way of incarnating Christ to the Senegalese. Pray that Satan would be bound. This site will include many specific requests in this area. Pray that God would raise up more labourers, and more intercessors. Key to reaching Senegal is the army of people who are praying, so pray God would teach and guide our prayer support team in the ways of intercession, and keep each faithful. Pray that He would increase the prayer burden that you have for Senegal.